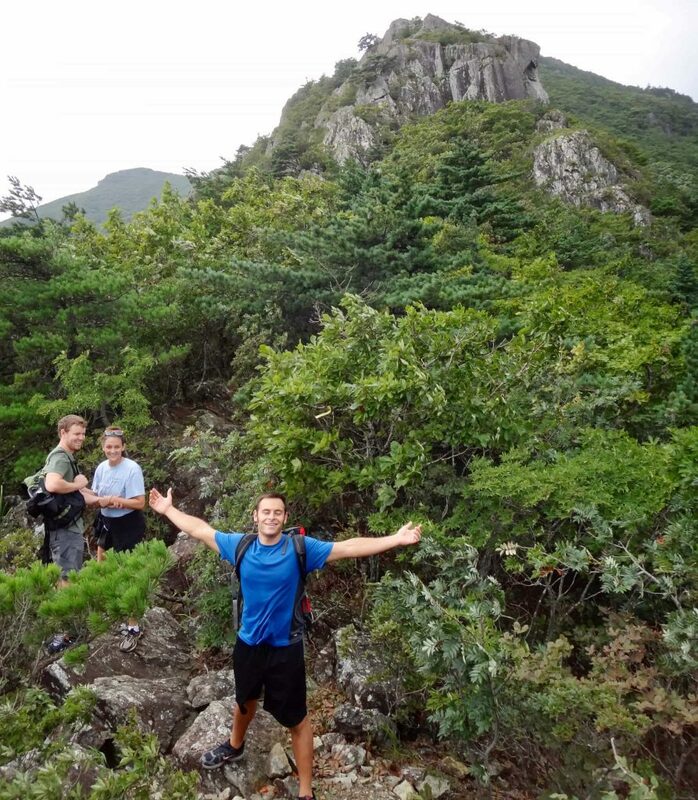 Hiking Gajisan (Gaji Mountain) is one of the most iconic outdoor activities in Ulsan, South Korea. 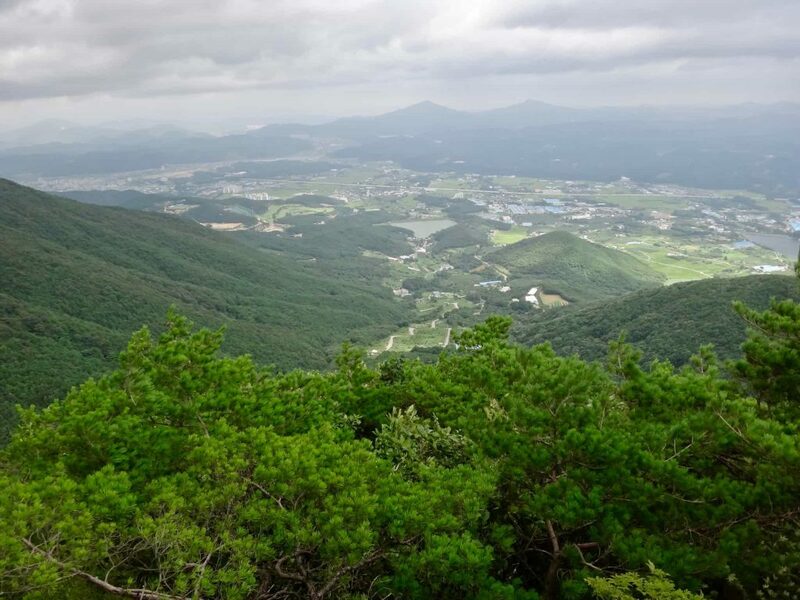 Situated in the Yeongnam Alps, it offers spectacular views on the trail up as well as from the peak. And during each season, the experience is uniquely and wonderfully different! 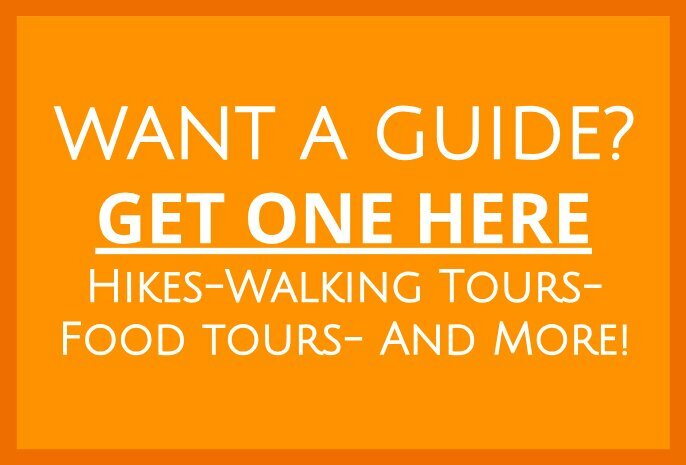 This hike is ideal for intermediate to advanced hikers. It is quite strenuous. However, ambitious beginners should not shy away, but they should only attempt it with someone who has the ability to guide them up the trail. And everyone should bring sufficient gear. I’ll go into that in a bit. If you’re a fit trail-runner, plan on this being a 1.5 hour round trip experience. And afterwards, plan on being BEAT! If you’re an average hiker, plan on this taking 3-4 hours. Leisurely hikers should plan 5-6 hours for this experience. Your best bet for getting to Gajisan is to take the 1713 bus from Eonyang or Ulsan. In either case, ride the bus to the final bus stop, Seongnamsa Temple, and then get off the bus. 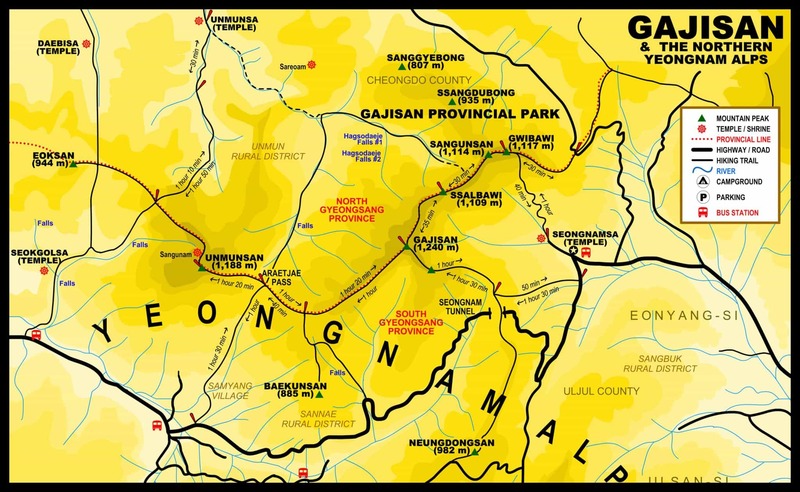 Seongnamsa is on this map. I usually start from there. Once you get off the bus, directly across the street from the final bus stop, you will see Seongnamsa Temple. The name of the temple is believed to have originated from the fact that it is located in the south of Gajisan or Seokansan. Built in 824 A.D. (during the 16th year of King Heondeok’s reign), the temple was destroyed during the Japanese Invasions of Korea (1592-1598) and rebuilt in 1674 (during the 15th year of King Hyeongjong’s reign). Since then, it has gone through rebuilding several times. Consisting of 30 buildings, the temple is home to many Buddhist nuns. Suffice it to say, Seongmansa Temple is certainly worth exploring! But only make this detour if you have enough time to safely complete the hike. I never set out on a hike with less than 2 liters of water and a few hundred calories in snacks. However, everyone has different needs. 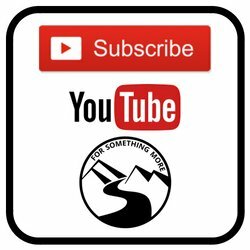 The bottom line – Make sure you have enough water for a few strenuous hours of hiking. In list form, here is the minimum gear I suggest you bring. This list is not exhaustive, so make sure you bring the things you will need! As I mentioned above, Gajisan is a strenuous hike. It will require some scrambling. 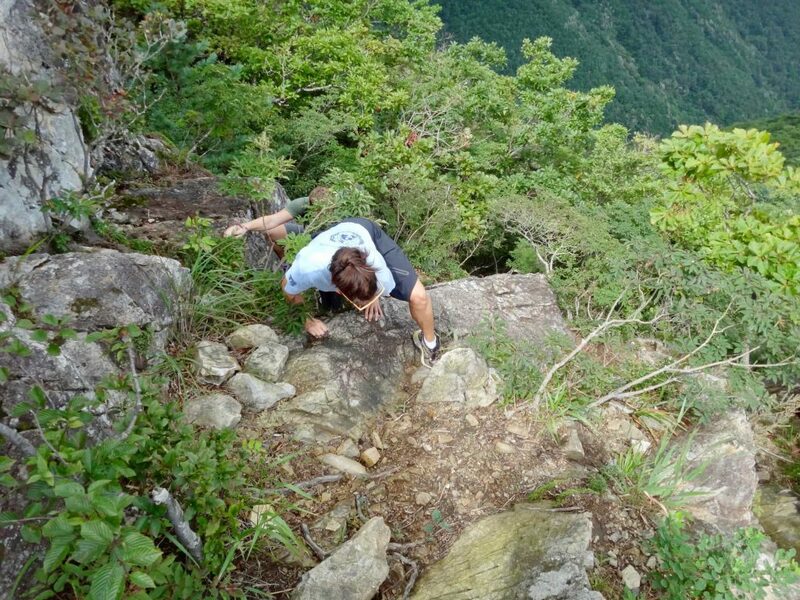 Generally speaking, the entire hike is comprised of steep uphill terrain. There are a few flat parts, but only a few. Take it slow and steady, and you’ll get there! 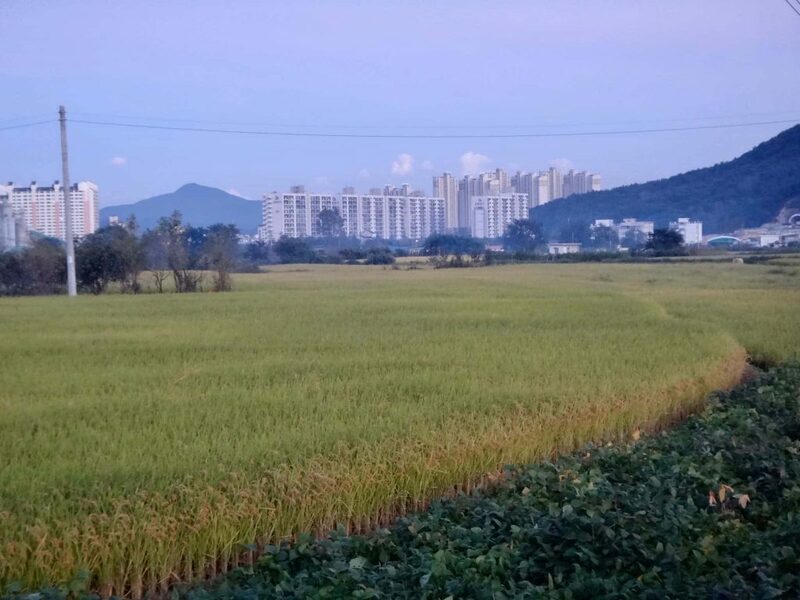 Here is a view of the peak! The view from the top is SPECTACULAR! 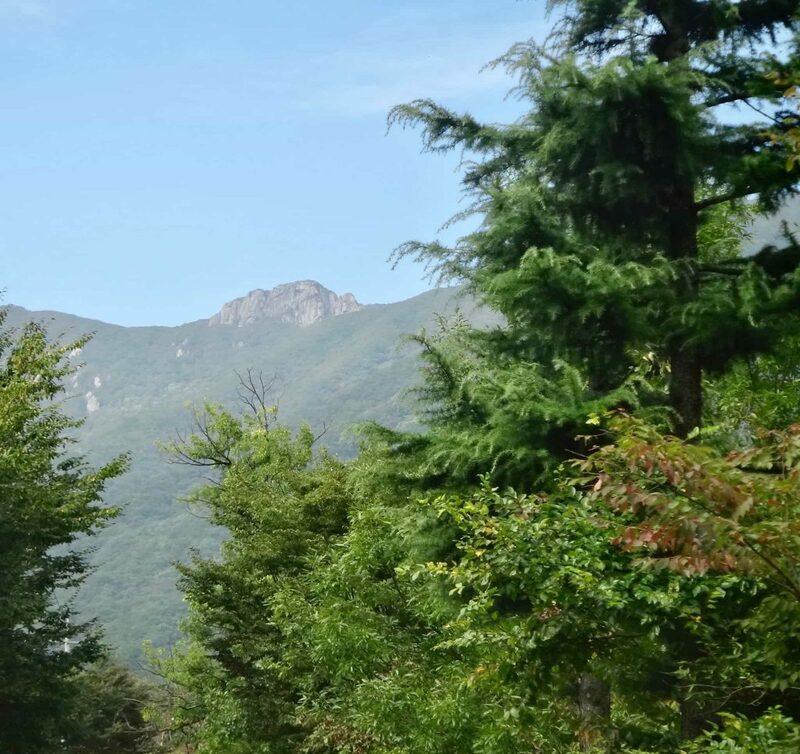 In the fall, the leaves change to a firey red, and in winter time you can occasionally see a light snow dusting on the surrounding peaks!Spring time on Gajisan can be a bit muddy, so get ready for some slipping and sliding! No matter the time of year, Gajisan is well worth the effort! 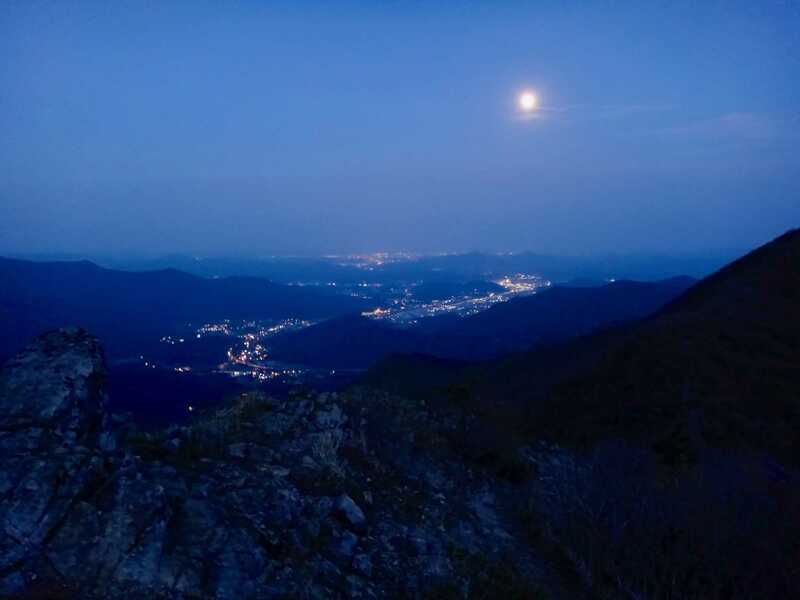 Gajisan is a hike that I hold near and dear, and I am certain you will too! Make sure you’re prepared, make sure you have enough time, but certainly, give Gajisan a go! It’s well worth all the time and effort it takes! If you’re keen to escape from Korea for a bit and head to a more tropical local, consider Zamami Island in Japan!